Recently I have become more aware of the damage being done to our once beautiful planet. We are filling our countryside with waste (landfills), we are depleting precious natural resources like coal and gas and we are polluting our waterways with waste and chemicals. I have been reading a number of blogs recently about how ordinary people (like me) are changing their way of thinking in order to make better choices for our environment. Jen and her family are on a mission to not buy anything new for 12 months, while Karen reduced her waste so much she only threw out one plaster all week. I have been spending time looking at our family life and seeing where we can make changes. Small changes in order for us to be more mindful of the environment. The changes, for us anyway, must not make life harder or more complicated or we will end up reverting back to our old ways. I’m sure we are not the only family who finds this? A couple of months ago we were told by our doctor that baby D has too many histamines in his body. This makes him scratch himself so much he can draw blood. We use bath products made especially for sensitive baby skin, we smother him in cream every time we change him and we try to make sure he doesn’t get too hot as that makes him scratch, and once he starts he can’t stop himself. So the first area I wanted to look at was laundry. Was there a better way of washing our clothes that is better for the environment but also better for baby D’s skin? Our washing machine is in almost constant use. 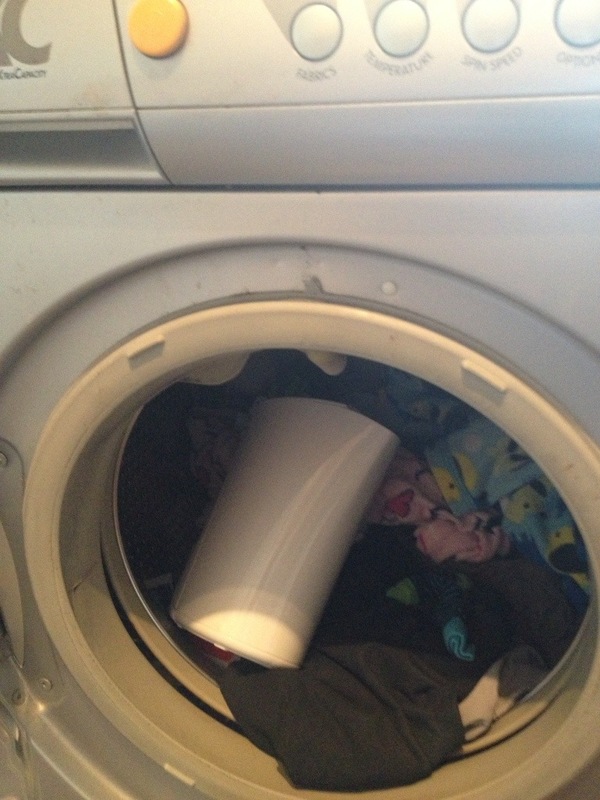 Yes that is a kettle in our washing machine! 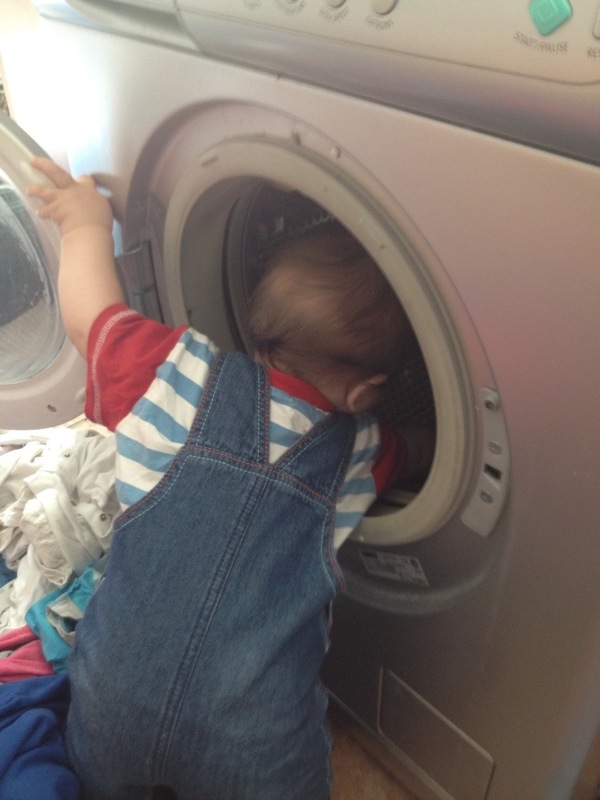 Baby D loves playing with the washer. Here he is rescuing a Jaffa cake he accidentally dropped in there. Anyway I digress. After some research I found these. 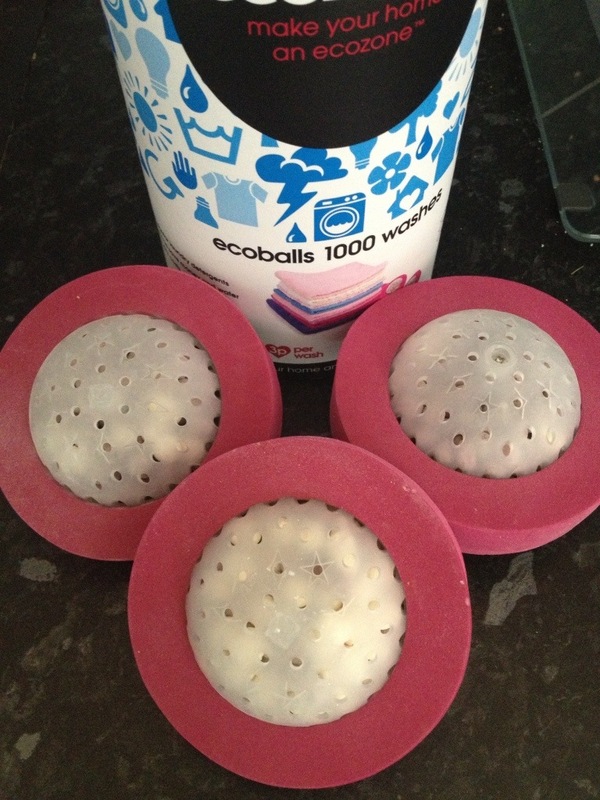 Eco washballs. They are quite expensive to buy at the outset (£15) but if they last the 1000 washes they are meant to then that equates to 3p a wash. I bought them from here but you can buy them elsewhere. Just search for Eco washballs and you will find some. (This is not a sponsored post by the way). They contain natural ingredients and can even be refilled so that cuts down on manufacturing and packaging, meaning less CO2 and plastic being released into the world. They do look a bit like UFO’s which i was surprised at, thinking they would be more ball-like, and I was a bit concerned that there wouldn’t be enough room in the washer for all 3 as they are quite large. 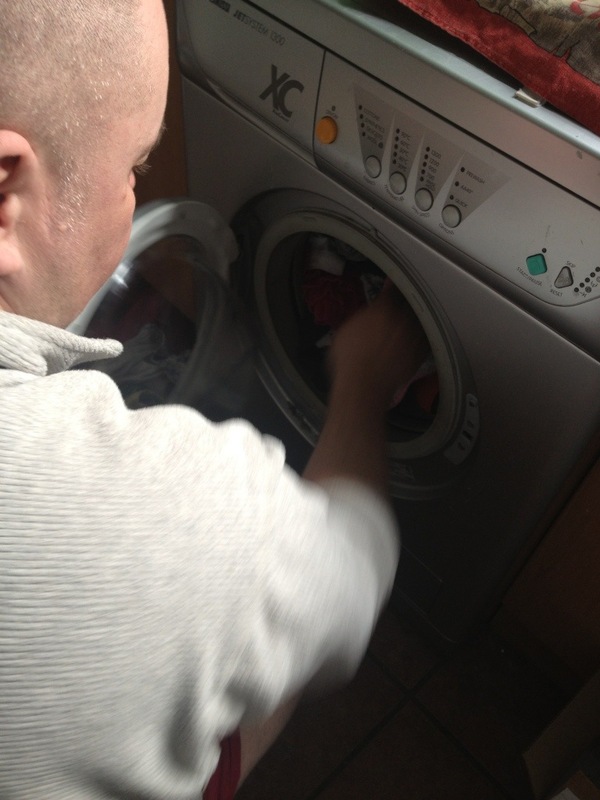 Here he is putting them in with the wash. He moved so quick I didn’t get chance to get a proper photo and his arm is a bit blurred but I’m sure you don’t mind. To be fair the clothes came out very clean and soft. It is early days but so far baby D hasn’t shown any signs of discomfort from the clothes that have been washed using the ecoballs. 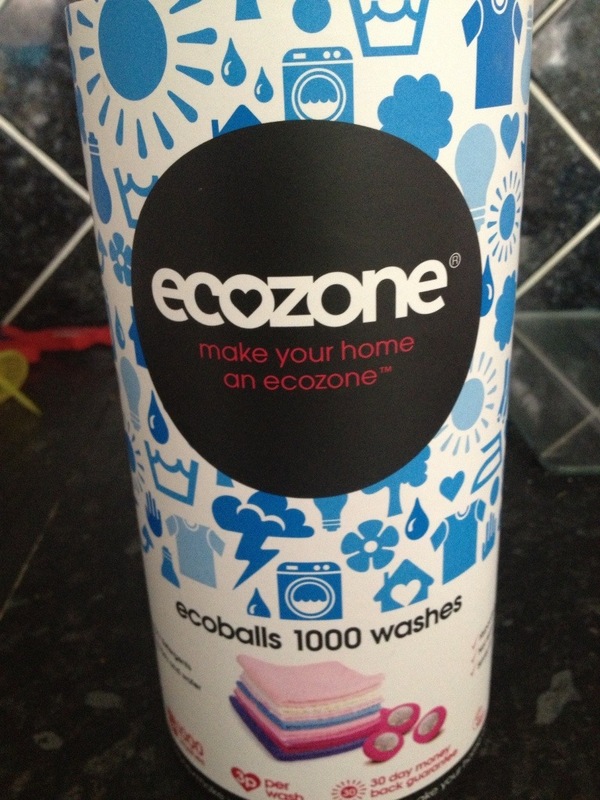 We do have some washing powder in the cupboard and we plan to hold onto that for a while just so that we can give the Eco balls a fair chance. Hopefully we won’t need to buy any more which is better not only for our pockets but better for the environment as we are putting less chemicals into the water system. The next areas on my list are cleaning products and toiletries. I would love to hear your stories of homemade/ green products that you have used in these two areas. I hope bit by bit, we will, as a family, lessen our impact on the planet. Now I’m not suggesting we all go mad and try to do everything at once. But maybe if we all did one thing. Just one small thing. It may just help. What small thing could you do today? This entry was posted in conscious living, Family and tagged Conscious living, Eco, family, green, washing by mehubbyandthekids. Bookmark the permalink.